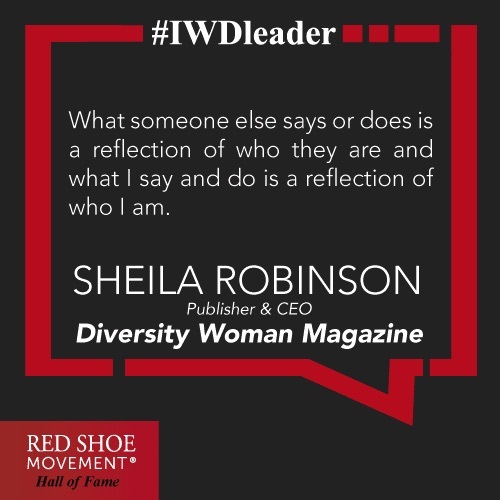 Sheila Robinson is the owner and publisher of Diversity Woman Magazine, a professional business magazine for women leaders, executives and entrepreneurs of all races, cultures and backgrounds. 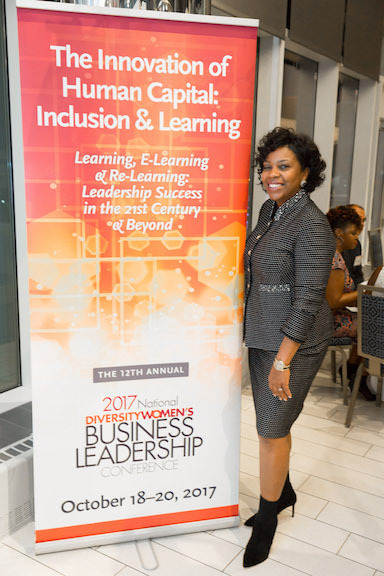 Through her magazine and the annual convention where hundreds of D&I professionals gather together, she keeps the inclusion conversation alive. After 14 years as marketing director with the textile division of DuPont, when her division was sold, Sheila Robinson, resigned. 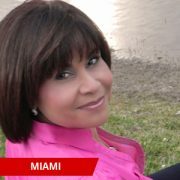 She decided to pursue her dream to launch a professional magazine for women seeking career advancement opportunities. 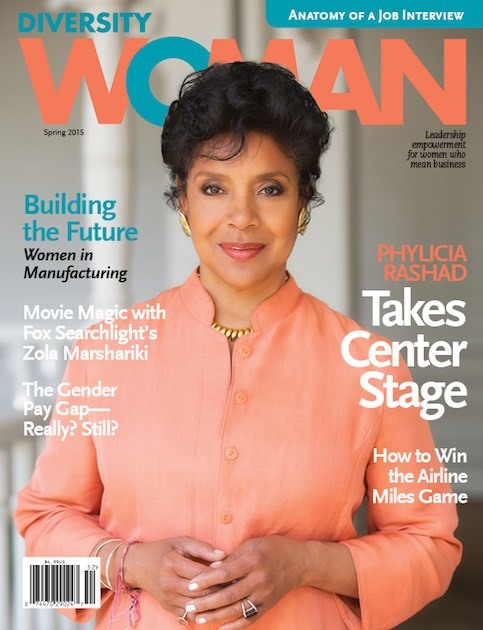 Her first publication was North Carolina Career Network which in April 2008 expanded nationally as Diversity Woman, available today in all Barnes and Nobles. Sheila Robinson is a graduate of North Carolina Central University in Durham, NC, with a Bachelor of Arts degree in Pre-Law. In 2011, she graduated with Beta Gamma Sigma honors in the Entrepreneurship & Innovation Masters Program at Western Carolina University. 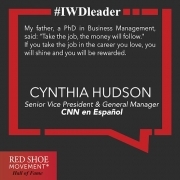 She received her Executive Doctorate in Leadership at the University of Pennsylvania. 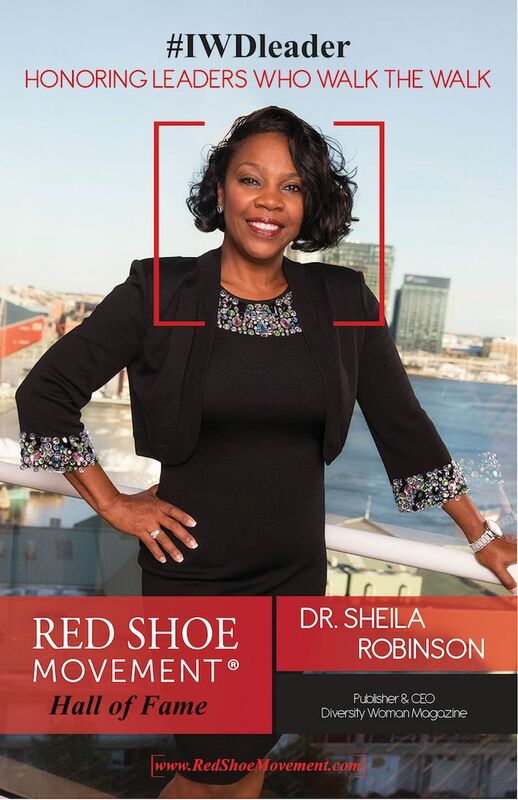 Among the many honors and recognitions she has received, Sheila was named as one of 50 Top Women in Magazine Publishing for the significant contribution she has made in her industry. 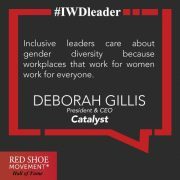 Sheila Robinson has played a major role in providing leaders from large organizations a space to share best practices, learn from one another and find ways to accelerate inclusion. 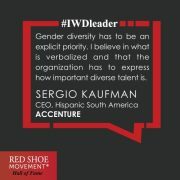 Her magazine and her powerful annual conference have proven to be invaluable platforms to move the needle in D&I. 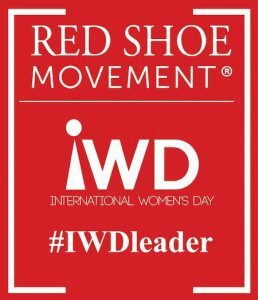 For this reason, we honor her on the 2018 Red Shoe Movement Hall of Fame. 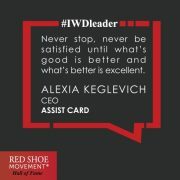 RSM—What makes women great leaders? 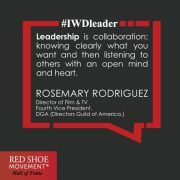 RSM— You’ve been organizing your Diversity Women Conference for over a decade now. 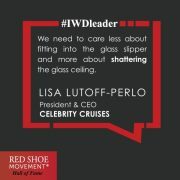 What changes have you noticed in terms of the issues women are dealing with in the workplace? SR— “Awareness” is the key term here. There is a lot of awareness to what problems exist, why things are as they are, and efforts to fix the problems that everyone are now aware of. “Momentum” is another word. The momentum is high for gender equality. With the recent #MeToo and #TimesUp movement as a result of Sexual Harrassment, organizations are less likely to bring any negative attention to themselves. The move for respect, equality and opportunity for women is on the high right now. RSM— Have you seen changes in the way companies deal with diversity and inclusion? SH— Many organizations believe that D&I is a “people” issue and have moved many of their roles from business operations to Human Resources. The positive here is that they are recognizing their talent and “Human Capital” as crucial to their organizations success. And hopefully they are investing in the development of their talent which is just as important if not more important for the innovation of their products and services. RSM— How is this different in the way they deal with D&I? SH— The role of the Chief Diversity Office is not to focus on the “people issue”. It is a business imperative and crucial to the success of ones products, services, talent and customers. Historically and in some cases today, the Chief Diversity Officer is an executive level role that resides in the C-Suite with direct report to the Chief Executive Officer with its role recognized as the central driver of business results. Within the last decade, however, many of these roles no longer report directly to the C-Suite but into Human Resources. I don’t think this is because the role is no longer the central driver of business results, I think it is an innovative approach to increase the value of their “Human Capital.” Organizations now recognize a more diverse and inclusive talent pool is crucial to the innovation of their products and services making “talent and business” both central drivers of an organizations success. RSM— What are some of the best practices you’ve seen organizations implement in order to accelerate the career trajectory of their female talent? RSM— How will the Millennial generation flip the script on gender inclusion at the top? SR—Millennial’s lead as “I am the solution” as opposed to hire me and and I will “find solutions” which can be both a negative and a positive. 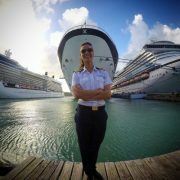 RSM— In terms of leadership lessons, can you share a couple of your moments of personal failure and what you’ve learned from them? SR—My biggest failures both professionally and in business involved things I had no control of and/or lack of knowledge to include setbacks, disappointments and financial losses. My biggest lessons include recognizing that these failures or mishaps are lessons I never had to repeat again and took the opportunity to put measures in place not to do so. 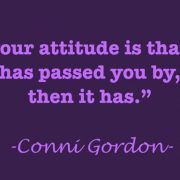 Additionally, I learned along the way how to turn adversities into opportunities by many of these very learnings. One of my roles while working for DuPont, was Pubic Relations Director of the Lycra® brand representing the organization by managing publicity activities, but also as a spokesperson. I was responsible for being on site at major events. One in particular was a promotion of high-end hosiery made with Lycra® that was sold at Bloomingdales department store in New York with the movie “Chicago” because of all the hosiery worn in the movie. On site, also was the movie producer, Martin Richards and one of the actresses Queen Latifah as well as Bloomingdales division head, Donna Wolfe. Paparazzi were everywhere. My public relations agency was on-site managing everything and I was pretty happy because all I was responsible for that day was taking a few photos with the talent and answering any minor questions. Activities I was accustomed to doing in a setting like this. One of the most embarrassing moments in my career, however, occurred that day. The PR firm were I worked had a relationship with E! Entertainment. The TV channel was on-site and without my knowledge my team convinced them to interview me on-air. Generally with celebrities on-site, they would only want to interview an actress, but they were honoring a favor asked by my PR firm. The next thing I knew, the microphone was being held at my mouth and I froze. I literally froze and if anything came out of my mouth it didn’t make it on-air…It was CUT! 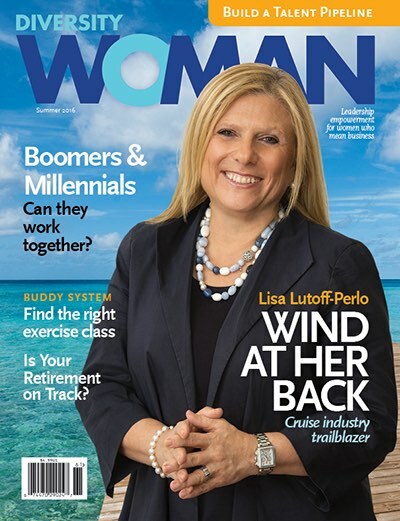 Lisa Lutoff-Perlo, Hall of Fame 2017 graces the cover of Diversity Woman, the publication of a Hall of Fame 2018 honoree. It was a great missed leadership opportunity. A chance to highlight my organization’s product to millions of viewers, to highlight my skills within my organization and give our PR firm high score for getting us on-air. It was very upsetting to me that I missed out on such an amazing opportunity. But there was a blessing on the other side of this. I had worked so hard in my role and had so many other successes that my team did not hold this mistake against me. They actually took responsibility for not training me properly. Within weeks my boss paid for me and other members of my team to have on-air training for a week in NY, an investment that cost them $10,000 which was a lot of money for training 20 years ago. Years later I eventually appeared on E! Entertainment on another show called “Stripped” with Sara Blakely of Spanx®, as there is Lycra® in Spanx®. My team had the great fortune of working very closely with Sara Blakely in the early stages and start-up of Spanx®. The lesson for me from that day onward is the importance of educating oneself on everything you can to be better in your role. I still to this day am always looking for programs and trainings to help me become “a better me” both personally and professionally. career other than family members? How exactly did they influence you? SR—Dr. Johnnetta B. Cole, President Emerita of Spelman College and Bennett College for Women served as a role model for many years. I eventually had the good fortune to meet her and over the years we now have a mutual mother-daughter relationship. We have great respect and admiration for each other. There are so many ways I have been influenced by this relationship, but one that comes to mind, is how she makes you feel. Just like the great late poet Dr. Maya Angelou’s famous quote, ‘I’ve learned that people will forget what you said, people will forget what you did, but people will never forget how you made them feel.’ That is Dr. Cole. Once you meet her you will never forget how she made you feel. RSM— Can you share with us the story of one life/career that changed thanks to you. SR—I had a great career with the textiles Lycra® division of Dupont and when my division was sold to Koch massive layoffs hit my office. Recruiters began reaching out to me. I referred my marketing assistant for one job in particular. His immediate reaction was “I am not qualified.” I sat down with him and told him that just because the “job title” said one thing did not mean he was not qualified. I shared with him all his strengths and qualifications and the value he had brought to our team. I encouraged him to apply and he got the job! 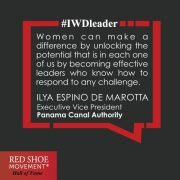 Male Dominated Industries Need More Women Like Her!